The Poor Farmer's, Ronald & Joyce Greene; have been keeping the mountain tradition of bluegrass and old time music alive since 1986. Many perfessional and talented groups have performed here; including the famous Bill Monroe! 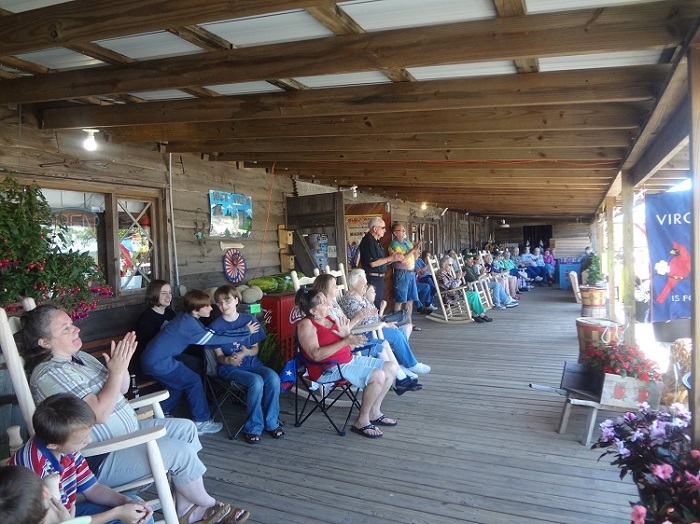 This is our Newly built "Front Porch Bluegrass Stage!" 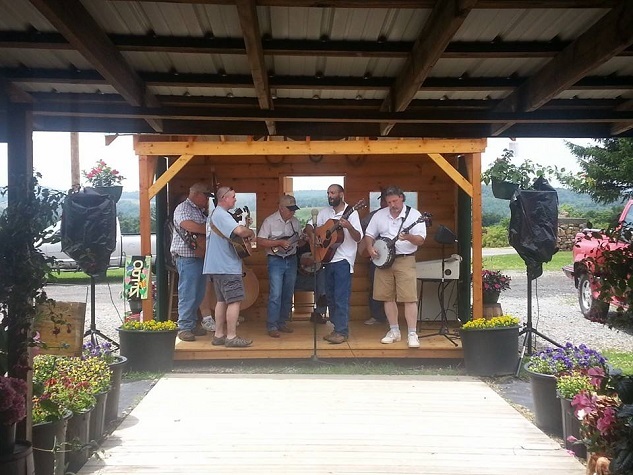 "Almost There" was performing in this photo at our annual Cabbage Festival in 2014'. Everyone sitting on our front porch clapping their hands to the bluegrass and old time music! Come socialize with old friends and make new ones at Poor Farmers Farm! 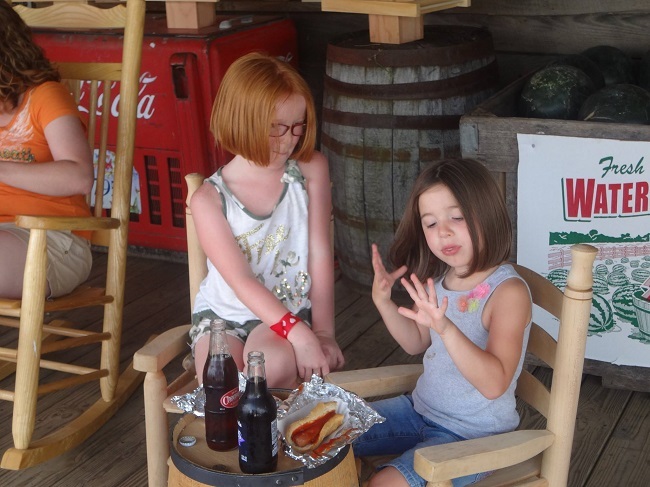 Two young ladies sitting on the front porch enjoying our music and eating our famous Hungry Hillbilly Hotdogs with a icy cold drink. We are truly the store that has something for all ages! 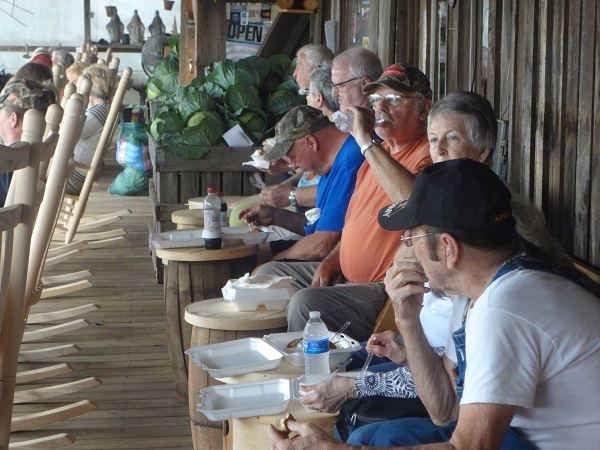 These folks are enjoying pinto beans, fried cabbage, corn bread and fatback meat at our annual cabbage festival.